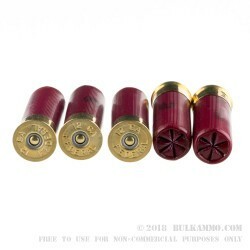 As far as 00 buckshot goes, you will be hardpressed to find ammo that gives you tighter patterns than this Federal Personal Defense with FliteControl Wad. The FliteControl wad forces the 9 lead pellets into uniform patterns within 20-30 yards. The payload strikes the target with intense force causing extreme damage to soft tissue that will level an attacker. Federal uses a special polymer buffer to keep the pellets from knocking into each other as they leave the muzzle at 1145 fps. The cushioning effect keeps the pellets intact upon firing so the payload remains as terminally effective as possible. 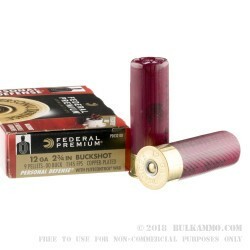 Federal Premium is headquartered in Anoka, MN, and they've been churning out high-quality ammunition for a variety of shooting disciplines since 1922. 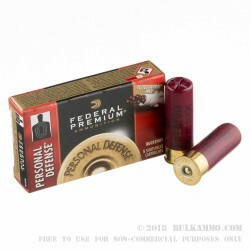 When you set out to protect your family and your home, make sure you have the upper hand on your assailant with this 12ga Personal Defense ammo. Order your 5-round box today! 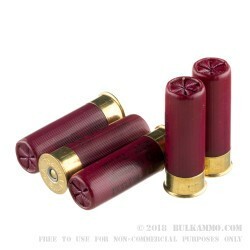 Q: Is this ammo available in a higher quantity of packaging? A: No, the premium self defense ammo is generally not available in bulk packaging. This Federal FliteControl 00 buck falls into that category. Q: Is this personal defense buckshot with the FliteControl wad anticipated to be discontinued for civilian sales? A: We have not seen any information to that effect.